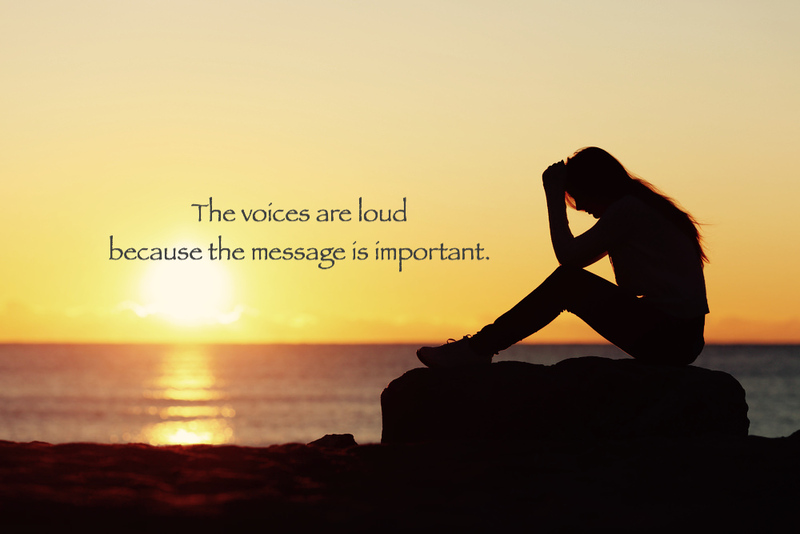 The voices are loud because the message it’s trying to communicate is important. And sometimes we need a little drama to get our attention. We could pay attention when our gut instinct kicks-in or our intuition tells us something is wrong. We could not overlook being disrespected or mistreated. We could express and honor our own needs. Paraphrased from the words of the late Dr. Maya Angelou, when someone shows us who they are, we can believe them. Instead of ignoring synchronicities and coincidences we could use them as clues to get us closer to our soul’s journey. What’s screaming at you right now? Is there a reason this message is in your inbox right now?